This is the first day of a two day conference with David Mars, PhD and Diana Fosha, PhD. Together they offer up a fresh new presentation about how AEDP with individuals and AEDP for Couples link brain and body functioning to early attachment-based neural networks to produce accelerated transformation. Diana Fosha lays the groundwork by focusing on the relational, experiential and metaprocessing interventions that are the foundation of AEDP. 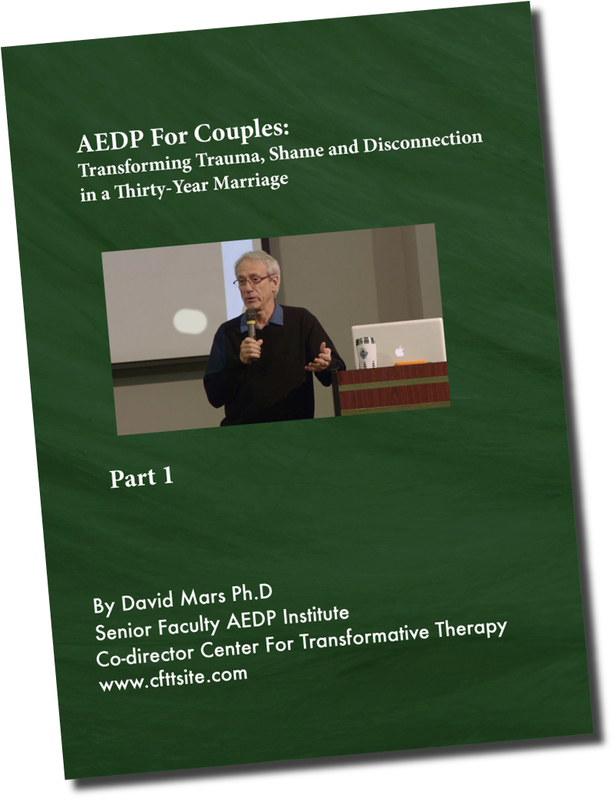 David Mars builds upon this to demonstrate the theory and practice of quantum change in healing trauma and building stable and secure attachment with couples. In this 3-DVD set you will witness how in session one through six, the couple finds their way from the brink of divorce to a more solid ground of secure attachment guided by multiple channels of the somatic experience of love. This DVD set shows how the couple resurrects their marriage following her lonely journey during his nine years of AA recovery in which the marriage was nearly lost.